Sri Aurobindo (born Aurobindo Ghosh; 15 August 1872 – 5 December 1950) was an Indian philosopher, yogi, guru, poet, and nationalist. He joined the Indian movement for independence from British rule, for a while was one of its influential leaders and then became a spiritual reformer, introducing his visions on human progress and spiritual evolution. A yogi is a practitioner of yoga. In Vedic Sanskrit, yoga means "to add", "to join", "to unite", or "to attach" in its most common literal sense, whereas in recent days, especially in the West, yoga often means only the physical exercises of hatha yoga, the asanas. The term yogi is used broadly to refer to sannyasi or practitioners of meditation in a number of Indian religions. The feminine form is yogini, but is not always used, especially in the West. Guru is a Sanskrit term for a "teacher, guide, expert, or master" of certain knowledge or field. In pan-Indian traditions, guru is more than a teacher, in Sanskrit guru means the one who dispels the darkness and takes towards light, traditionally a reverential figure to the student, with the guru serving as a "counselor, who helps mold values, shares experiential knowledge as much as literal knowledge, an exemplar in life, an inspirational source and who helps in the spiritual evolution of a student". A guru is also one's spiritual guide, who helps one to discover the same potentialities that the guru has already realized. In Indonesian and Malay the word means teacher. Indian nationalism developed as a concept during the Indian independence movement fought against the colonial British Raj. Indian nationalism is an instance of territorial nationalism, inclusive of all its people, despite their diverse ethnic and religious backgrounds. It continues to strongly influence the politics of India and reflects an opposition to the sectarian strands of Hindu nationalism and Muslim nationalism. Aurobindo studied for the Indian Civil Service at King's College, Cambridge, England. After returning to India he took up various civil service works under the maharaja of the princely state of Baroda and became increasingly involved in nationalist politics and the nascent revolutionary movement in Bengal. He was arrested in the aftermath of a number of bomb outrages linked to his organisation, but in a highly public trial where he faced charges of treason, Aurobindo could only be convicted and imprisoned for writing articles against British rule in India. He was released when no evidence could be provided, following the murder of a prosecution witness during the trial. During his stay in the jail, he had mystical and spiritual experiences, after which he moved to Pondicherry, leaving politics for spiritual work. During his stay in Pondicherry, Sri Aurobindo developed a method of spiritual practice he called Integral Yoga. The central theme of his vision was the evolution of human life into a life divine. He believed in a spiritual realisation that not only liberated man but transformed his nature, enabling a divine life on earth. In 1926, with the help of his spiritual collaborator, Mirra Alfassa (referred to as "The Mother"), he founded the Sri Aurobindo Ashram. Mirra Alfassa, known to her followers as The Mother, was a spiritual guru, an occultist and a collaborator of Sri Aurobindo, who considered her to be of equal yogic stature to him and called her by the name "The Mother". She founded the Sri Aurobindo Ashram and established Auroville as a universal town; she was an influence and inspiration to many writers and spiritual personalities on the subject of Integral Yoga. His main literary works are The Life Divine, which deals with theoretical aspects of Integral Yoga; Synthesis of Yoga, which deals with practical guidance to Integral Yoga; and Savitri: A Legend and a Symbol , an epic poem. Savitri: A Legend and a Symbol is an epic poem in blank verse by Sri Aurobindo, based upon the theology from the Mahabharata. Its central theme revolves around the transcendence of man as the consummation of terrestrial evolution, and the emergence of an immortal supramental gnostic race upon earth. Unfinished at Sri Aurobindo's death, Savitri approaches 24,000 lines. The Bengal Presidency (1757–1912), later reorganized as the Bengal Province (1912–1947), was once the largest subdivision (presidency) of British India, with its seat in Calcutta. It was primarily centred in the Bengal region. At its territorial peak in the 19th century, the presidency extended from the present-day Khyber Pakhtunkhwa province of Pakistan in the west to Burma, Singapore and Penang in the east. The Governor of Bengal was concurrently the Viceroy of India for many years. Most of the presidency's territories were eventually incorporated into other British Indian provinces and crown colonies. In 1905, Bengal proper was partitioned, with Eastern Bengal and Assam headquartered in Dacca and Shillong. 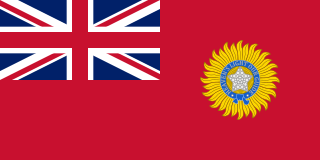 British India was reorganised in 1912 and the presidency was reunited into a single Bengali-speaking province. Bengali Kayastha denotes a Bengali Hindu who is a member of the Kayastha caste. In Bengal, Kayasthas, alongside Brahmins and Baidyas are regarded as the "highest Hindu castes" that comprise the "upper layer of Hindu society." Konnagar is a city and a municipality of Hooghly district in the Indian state of West Bengal. It is under Uttarpara police station in Serampore subdivision. It is a part of the area covered by Kolkata Metropolitan Development Authority (KMDA). Hindustani, also known as Hindi-Urdu and historically also known as Hindavi, Dehlavi and Rekhta, was a historical lingua franca of Northern India and Pakistan. It was an Indo-Aryan language, deriving its base primarily from the Khariboli dialect of Delhi. The language incorporated a large amount of vocabulary from Prakrit, Sanskrit, as well as Persian and Arabic. It is now a pluricentric language, with two official forms, Modern Standard Hindi and Modern Standard Urdu, which are its standardised registers. According to Ethnologue's 2017 estimates, if Hindi and Urdu are taken together as Hindustani, the language would be the 3rd most spoken language in the world, with approximately 329.1 million native speakers and 697.4 million total speakers. Loreto Convent is an English-medium girls high school located in Chauk Bazar, Darjeeling, West Bengal, India. It is run by Loreto Education Society of Darjeeling. The school is affiliated to the ICSE and ISC boards of Delhi. Darjeeling is a city and a municipality in the Indian state of West Bengal. It is located in the Lesser Himalayas at an elevation of 6,700 ft (2,042.2 m). It is noted for its tea industry, its views of Kangchenjunga, the world's third-highest mountain, and the Darjeeling Himalayan Railway, a UNESCO World Heritage Site. Darjeeling is the headquarters of the Darjeeling District which has a partially autonomous status within the state of West Bengal. It is also a popular tourist destination in India. During his stay at Baroda, he contributed to many articles to Indu Prakash and spoke as a chairman of the Baroda college board. He started taking an active interest in the politics of India's independence struggle against British rule, working behind the scenes as his position in the Baroda state administration barred him from an overt political activity. He linked up with resistance groups in Bengal and Madhya Pradesh, while traveling to these states. He established contact with Lokmanya Tilak and Sister Nivedita. Aurobindo attended the 1906 Congress meeting headed by Dadabhai Naoroji and participated as a councillor in forming the fourfold objectives of "Swaraj, Swadesh, Boycott and national education". In 1907 at the Surat session of Congress where moderates and extremists had a major showdown, he led along with extremists along with Bal Gangadhar Tilak. The Congress split after this session. In 1907–1908 Aurobindo travelled extensively to Pune, Bombay and Baroda to firm up support for the nationalist cause, giving speeches and meeting with groups. He was arrested again in May 1908 in connection with the Alipore Bomb Case. He was acquitted in the ensuing trial, following the murder of chief prosecution witness Naren Gosain within jail premises which subsequently led to the case against him collapsing. Aurobindo was subsequently released after a year of isolated incarceration. In 1910 Aurobindo withdrew himself from all political activities and went into hiding at Chandannagar in the house of Motilal Roy, while the British were trying to prosecute him for sedition on the basis of a signed article titled 'To My Countrymen', published in Karmayogin. As Aurobindo disappeared from view, the warrant was held back and the prosecution postponed. Aurobindo manoeuvred the police into open action and a warrant was issued on 4 April 1910, but the warrant could not be executed because on that date he had reached Pondicherry, then a French colony. The warrant against Aurobindo was withdrawn. Sri Aurobindo's concept of the Integral Yoga system is described in his books, The Synthesis of Yoga and The Life Divine. The Life Divine is a compilation of essays published serially in Arya. Sisir Kumar Maitra, who was a leading exponent of Sri Aurobindo's Philosophy,  has referred to the issue of external influences and written that Sri Aurobindo does not mention names, but "as one reads his books one cannot fail to notice how thorough is his grasp of the great Western philosophers of the present age..." Although he is Indian one should not "underrate the influence of Western thought upon him. This influence is there, very clearly visible, but Sri Aurobindo... has not allowed himself to be dominated by it. 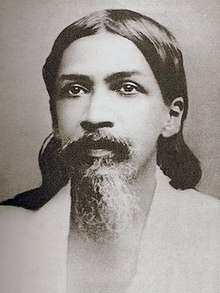 He has made full use of Western thought, but he has made use of it for the purpose of building up his own system..."  Thus Maitra, like Steve Odin,  sees Sri Aurobindo not only in the tradition and context of Indian, but also Western philosophy and assumes he may have adopted some elements from the latter for his synthesis. The following authors, disciples and organisations trace their intellectual heritage back to, or have in some measure been influenced by, Sri Aurobindo and The Mother. M. P. Pandit (1918–1993). Secretary to "The Mother" and the ashram, his copious writings and lectures cover Yoga, the Vedas, Tantra, Sri Aubindo's epic "Savitri" and others. Dilipkumar Roy (1897–1980) was a Bengali Indian musician, musicologist, novelist, poet and essayist. T.V. Kapali Sastry (1886–1953) was an eminent author and Sanskrit scholar. He joined the Sri Aurobindo Ashram in 1929 and wrote books and articles in four languages, exploring expecially Sri Aurobindo's Vedic interpretations. A new edition of collected works was started in 1995. Currently, 36 out of 37 volumes have been published: Complete Works of Sri Aurobindo (CWSA). Pondicherry: Sri Aurobindo Ashram. Satprem was a French author and a disciple of Mirra Alfassa. Integral yoga, also called supramental yoga, is the yoga-based philosophy and practice of Sri Aurobindo and The Mother. Integral yoga finds all life conscious or subconscious a yoga, defines the term yoga as a methodised effort towards self-perfection by the expression of the secret potentialities latent in the being and highest condition of victory in that effort - a union of the human individual with the universal and transcendent existence which is seen partially as expressions in humans and in the cosmos. As a yoga idea, that Spirit manifests itself in a process of involution. The reverse process of evolution is driven toward a complete manifestation of spirit. The mental plane, or world of thought, in Hermeticism, Theosophical, Rosicrucian, Aurobindonian, and New Age thought refers to the macrocosmic or universal plane or reality that is made up purely of thought or mindstuff. In contrast to Western secular modernist and post-modern thought, in occult and esoteric cosmology, thoughts and consciousness are not just a byproduct of brain functioning, but have their own objective and universal reality quite independent of the physical. This reality itself constitutes only one gradation in a whole series of planes of existence. In most such cosmologies and explanations of reality, the mental plane is located between, and hence is intermediate between, the astral plane below and the higher spiritual realms of existence above. Kaikhosru Danjibuoy Sethna was an Indian poet, scholar, writer, philosopher, and cultural critic. He published more than 50 books. He was also known as Amal Kiran. M. P. Pandit was a spiritual author, teacher and Sanskrit scholar. For several decades, he was a secretary of the Mother of the Sri Aurobindo Ashram. He wrote numerous books and articles on the yoga of Sri Aurobindo and the Mother, on social and political thought, science, philosophy, religion, mysticism, and the classical texts and spiritual traditions of India. Haridas Chaudhuri, a Bengali integral philosopher, was a correspondent with Sri Aurobindo and the founder of the California Institute of Integral Studies (CIIS). In Sri Aurobindo's philosophy the Intermediate zone refers to a dangerous and misleading transitional spiritual state between the ordinary consciousness and true spiritual realisation. Indra Sen MA, LL.B., PhD was a devotee of Sri Aurobindo and The Mother, psychologist, author, and educator, and the founder of Integral psychology as an academic discipline. Arya: A Philosophical Review was a 64-page monthly periodical written by Sri Aurobindo and published in India between 1914 and 1921. The majority of the material which initially appeared in the Arya was later edited and published in book-form as The Life Divine, The Synthesis of Yoga, The Secret of the Veda, The Foundations of Indian Culture and The Ideal of Human Unity as well as a number of translations of Vedic literature. The Advent is a quarterly magazine produced by the Sri Aurobindo Ashram, and is "Dedicated to the Exposition of Sri Aurobindo's Vision of the Future". Ambulal Balkrishna Purani was a prominent disciple and biographer of Sri Aurobindo. Anirvan or Sri Anirvan born Narendra Chandra Dhar was an Indian/Bengali/Hindu monk, writer, Vedic scholar and philosopher. He was widely known as a scholar and his principal works were a Bengali translation of Sri Aurobindo's The Life Divine and the three volume treatise Veda Mimamsa. Peter Heehs is an American historian living in Puducherry, India who writes on modern Indian history, spirituality and religion. Much of his work focuses on the Indian freedom fighter and spiritual leader Sri Aurobindo. His publications include twelve books and more than sixty articles in journals and magazines. Jatindra Nath Banerjee was one of two great Indian nationalists and freedom fighters – along with Aurobindo Ghosh – who dramatically rose to prominence between 1871 and 1910. Kireet Joshi was an Indian philosopher. Disciple of Sri Aurobindo and Mirra Alfassa. In 1976, the Prime Minister of India, Indira Gandhi, appointed Kireet as Education Advisor to the Government of India. He also served as the Chairman of the Indian Council of Philosophical Research. Judith Tyberg (1902–1980) was an American yogi ("Jyotipriya") and a renowned Sanskrit scholar and orientalist. Author of The Language of the Gods and two other reputed texts on Sanskrit, she was the founder and guiding spirit of the East-West Cultural Center in Los Angeles, California, a major pioneering door through which now-celebrated Indian yogis and spiritual teachers of many Eastern and mystical traditions were first introduced to America and the West. ↑ Yadav (2007), p. 31: "the fame of Sri Aurobindo mainly rests upon Savitri which is considered as his magnum opus ... [It is] a 24000 line blank verse epic in which he has widened the original legend of the Mahabharata and turned it into a symbol where the soul of man, represented by Satyavan, is delivered from the grip of death and ignorance through the love and power of the Divine Mother, incarnated upon earth as Savitri." ↑ Wilber 1980, p. 263. ↑ Aurobindo, Sri. The Life Divine Lotus Press, 1990. P. 132. ↑ Aurobindo, Sri. The Integral Yoga.Lotus Press, 1993. P. 65. ↑ CWSA vol. 36, Autobiographical Notes, p. 112. ↑ Huchzermeyer 2016, p. 0127. ↑ Sethna, K.D. (1981). The Spirituality of the Future. A Search apropos of R.C. Zaehner’s Study in Sri Aurobindo and Teilhard de Chardin. Fairleigh Dickinson University Press. p. 257. ISBN 978-1611470703. ↑ CWSA vol. 27, Letters on Poetry and Art, p. 520. ↑ Huchzermeyer 2016, p. 10. ↑ Heehs (2008), p. 276. 1 2 Heehs (2008), p. 267. ↑ K. R. Srinivasa Iyengar (1972) Sri Aurobindo – A Biography and a history. Pondicherry, Sri Aurobindo Ashram. p. 441. ↑ Huchzermeyer 2016, p. 85. ↑ Huchzermeyer 2016, p. 78. 1 2 Ramakrishna Puligandla (1997). Fundamentals of Indian Philosophy. D.K. Printworld. pp. 267–268. ISBN 978-81-246-0087-0. ↑ Haridas Chaudhuri and Frederic Spiegelberg (1960) The integral philosophy of Sri Aurobindo: a commemorative symposium, Allen & Unwin. ↑ Ratna Ghosh (2006). Netaji Subhas Chandra Bose and Indian Freedom Struggle: Subhas Chandra Bose : his ideas and vision. Deep & Deep. pp. 42–. ISBN 978-81-7629-843-8. ↑ Huchzermeyer 2016, p. 155. ↑ Der unsichtbare Ursprung, Olten 1970, p. 96. ↑ "Thinking otherwise – From Religion to Post-Religious Spirituality: Conclusion" . Retrieved 13 April 2014. ↑ Rod Hemsell (January 2002). "Ken Wilber and Sri Aurobindo: A Critical Perspective". ↑ "Hidden Journey: A Spiritual Awakening" . Retrieved 6 February 2014. ↑ Satprem (1965). Mother's Agenda. 6 (3 ed.). Paris: Inst. de Recherches Évolutives. p. 188. ISBN 978-0-938710-12-7. ↑ "Woodrow Wilson Daughter Dead". The Milwaukee Sentinel . 14 February 1944. p. 1. Retrieved 16 November 2015. ↑ "Sri Aurobindo's theory of evolution – a criticism by Prof. Malkani examined" . Retrieved 6 February 2014. ↑ "Wilber's Critique of Sri Aurobindo" . Retrieved 13 October 2014. "Ghose, Aravinda Acroyd (GHS890AA)". A Cambridge Alumni Database. University of Cambridge. Kallury, Syamala (1989). Symbolism in the Poetry of Sri Aurobindo. Abhinav Publications. ISBN 978-81-7017-257-4. Mehrotra, Arvind Krishna (2003). A History of Indian Literature in English. Columbia University Press. ISBN 978-0-231-12810-0. Mishra, Manoj Kumar (2004). Young Aurobindo's Vision: The Viziers of Bassora. Bareilly: Prakash Book Depot. van Vrekhem, Georges (1999). Beyond Man – The Life and Work of Sri Aurobindo and The Mother. New Delhi: HarperCollins. ISBN 978-81-7223-327-3. Ghose, Aurobindo, Nahar, S., & Institut de recherches évolutives. (2000). India's rebirth: A selection from Sri Aurobindo's writing, talks and speeches Paris: Institut de recherches évolutives. Wikimedia Commons has media related to Sri Aurobindo .